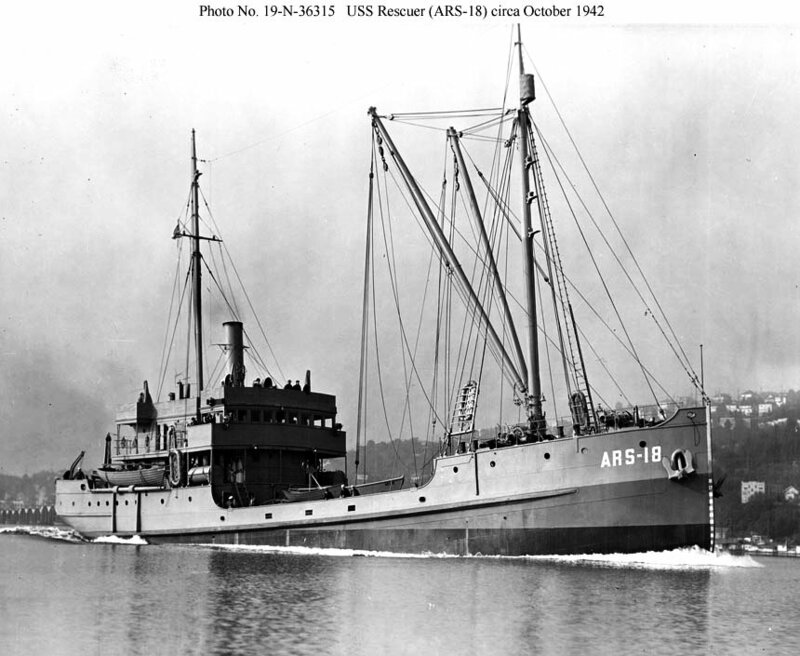 101k Rescuer (ARS-18) under way probably upon completion of conversion at Seattle, WA., in October 1942. 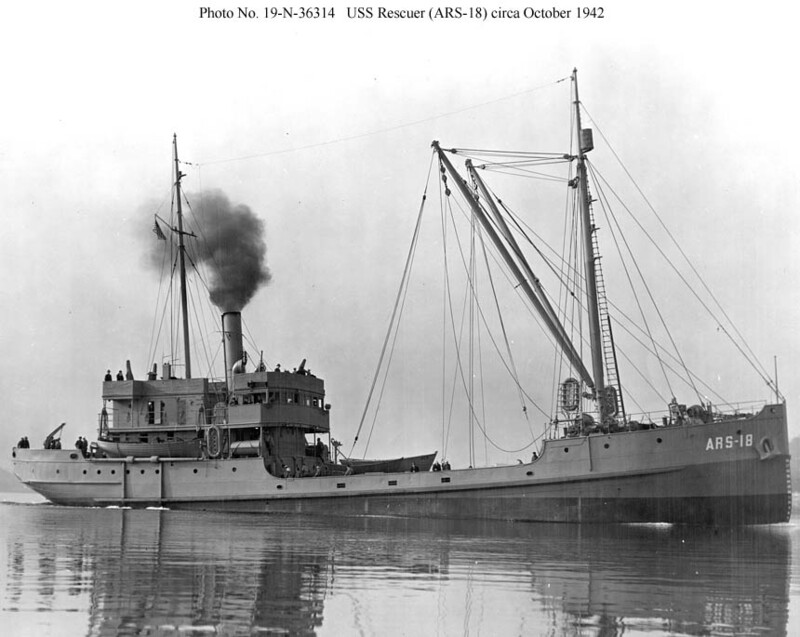 140k The abandoned wreck of Rescuer (ARS-18) and the Soviet merchant ship Turksib at Seal Cape, Alaska, 15 April 1943. 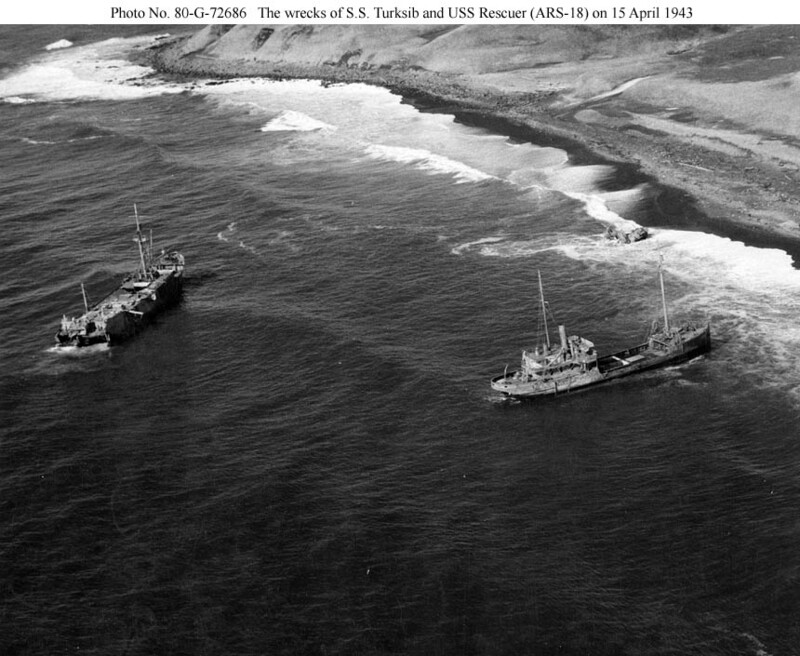 Rescuer was trying to salvage Turksib when she was driven onto the beach, 1 January 1943. 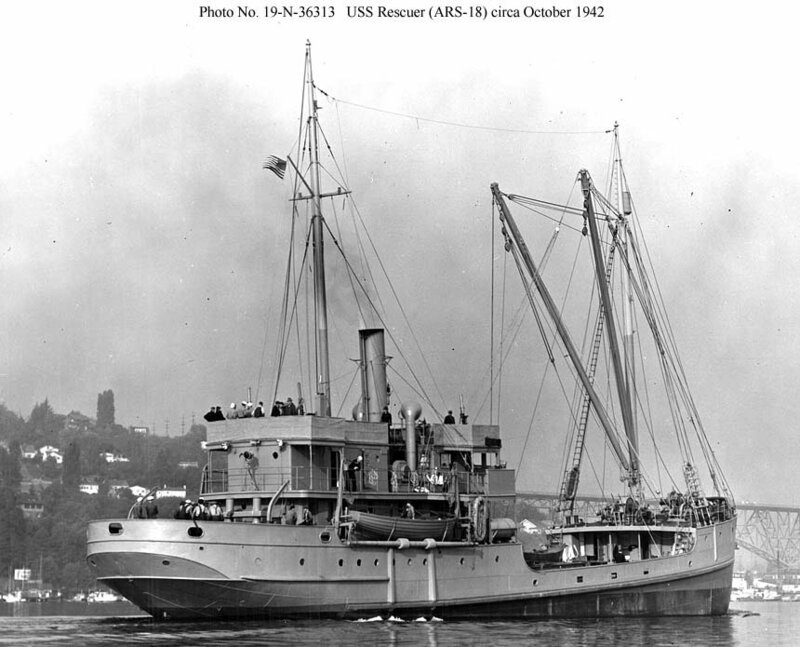 The freighter has already lost her stern to Alaskan storms. 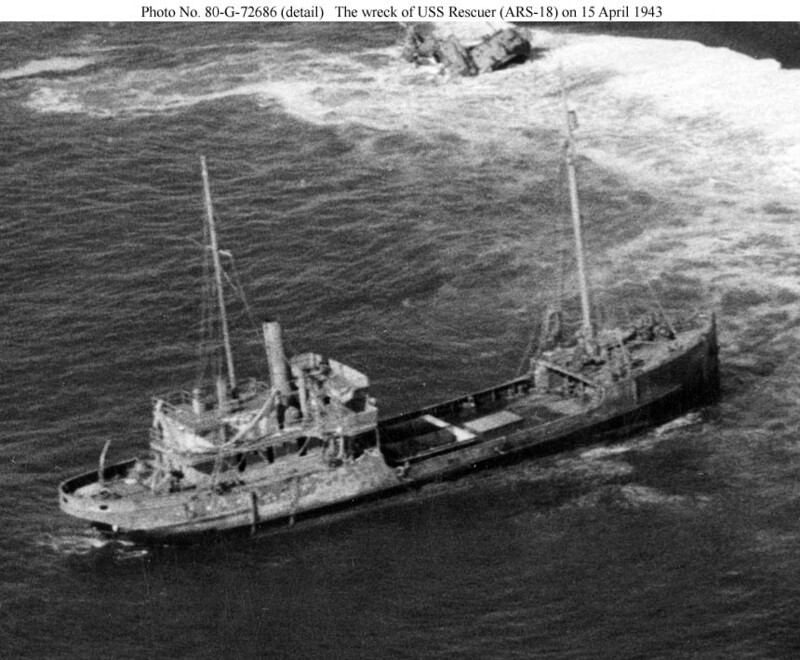 140k Close up view of the abandoned wreck of Rescuer (ARS-18) on the beach at Seal Cape, Alaska, 15 April 1943. 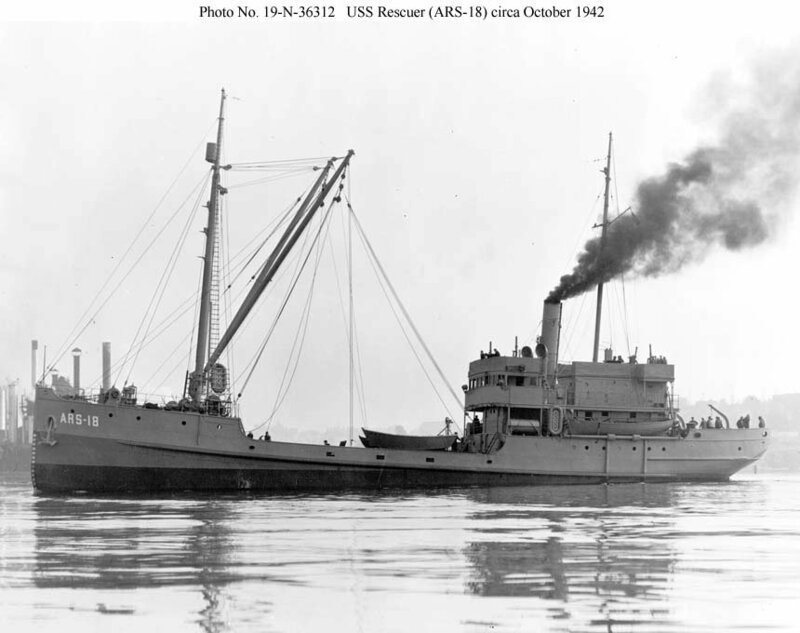 Rescuer was trying to salvage the Soviet Turksib when she was driven onto the beach, 1 January 1943.